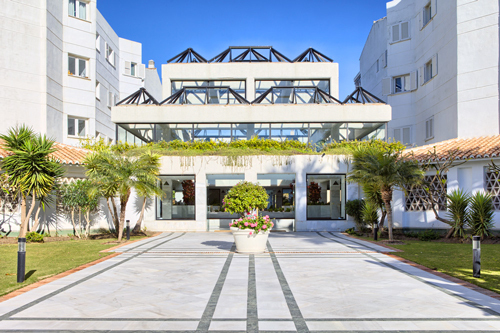 Property in Marbella has long been extremely sought after, hence Marbella beachfront property for sale is a very common search on search engines. The problem if you are looking for Marbella beachfront property for sale is that, as the saying goes about land, they’re not making any more of it. If you were in looking to Sell property in Dubai, where they do create new beachfront from time to time, the saying probably doesn’t carry much water. In Spain’s Costa del Sol, however, Marbella beachfront property for sale is very sought after because very little of it comes to market. 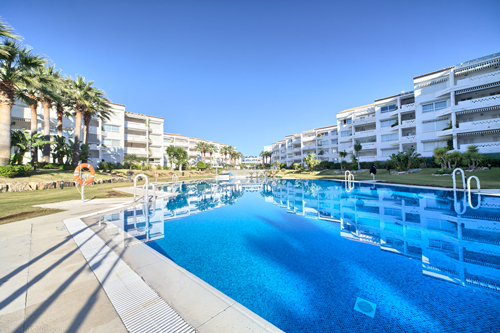 Those looking for Marbella beachfront property for sale will therefore be very interested in a development of apartments that has just come on the market. The gated Playa Rocio apartments are located on the beach in Puerto Banus (see more photos at the end of this post, we don’t have internal shots yet as the apartments are being fully re-decorated). When we say on the beach we do not mean ‘within a stone’s throw of the beach’ or that you can see a slight triangle of sea if you stand on your toes on the balcony. 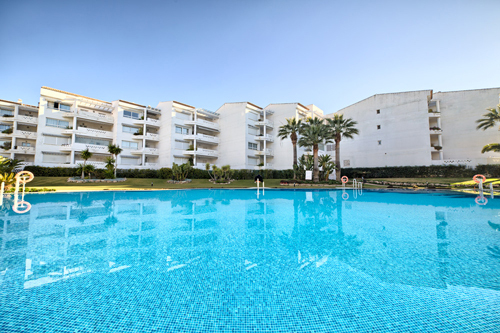 This development is right on the beach at the end of Puerto Banus pier. You can see from the map exactly how close to both the beach and Puerto Banus itself this development is situated. 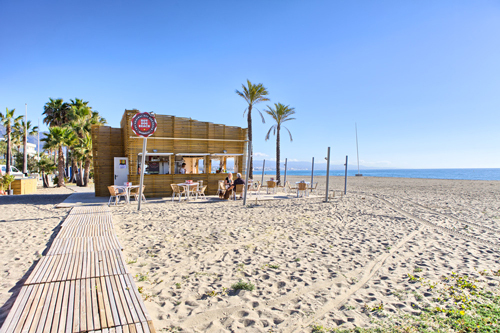 If you are looking for a beachfront property in Marbella then it would be a good idea to get in contact quickly. These properties are in an extremely popular area where properties don’t come up for sale very often. These properties have come to market due to a bank sale. It is very unusual to have a range of properties in a mature development for sale at the same time. 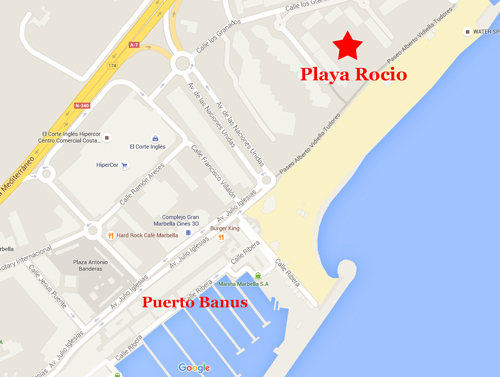 There is a variety of property types for sale in the Playa Rocio development ranging from one bed to three bed apartments right on the beachfront. 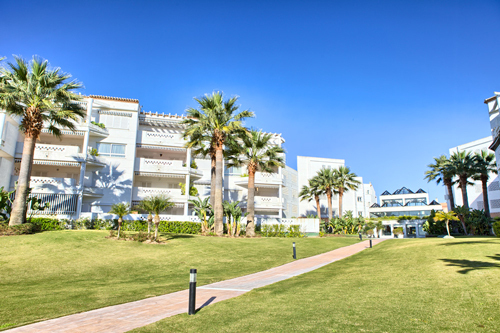 Prices for these wonderfully positioned units in the Playa Rocio beachside gated development start from €295k (approx. £230k.) for a ground floor 1 bedroom apartment measuring 60 sq. m. in size. 100 sq. m. two bed units are available from €370k. (approx. £290k.). with three bed units available from €395k. (approx. £307k.). For further information drop an email to info@diarmaidcondon.com.